Cillnabradden Evo was in with a shout of regaining the Open Championship title that he and Oliver won in 2016. The pair performed a superb dressage test to score 19.0 and comfortably take the lead. A couple of rails down dropped them to third, but after an uncharacteristic mis-judgement early on the cross country course, Oliver retired. However, Ulises rose to the challenge in this class to finish fifth after a speedy cross country clear – he has not been out of the top 10 all season. 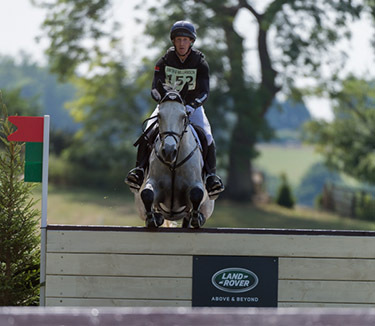 Ballaghmor Class led the advanced after both dressage and showjumping but Oliver made the call not to run him across country – he has different autumn goals to consider. A double clear by Miss Cooley gave her fourth place in the Novice Championship, while Rapide GII made it into the top 10 in the Intermediate Championship.